The fossil fuel industry has been active in lobbying for delays in global climate action as they stand to make enormous amounts of money when the process is stalled. If the targets of the Paris Agreement on climate change to reduce emissions are to be met, the fossil fuel industry will be losing money. A study on “Revolving doors and the fossil fuels industry”, presented by the Greens/EFA Group in the European Parliament at the Bonn Climate Talks in Bonn this week, is calling for the adoption of a strong conflict of interest policy that would avoid the disproportionate influence of the fossil fuel actors on the international climate change negotiations. The report gathers studies of revolving doors between the fossil fuel industry and high level politicians, Ministers, regulators and advisors, and questions whether the EU and European governments’ lack appetite to deal with this issue is a result of the cozy relationships built up with the fossil fuel sector over the years. According to Max Andersson, Swedish Greens Member of the European Parliament, the revolving door between politics and the fossil lobby is a serious cause for alarm. “If we are to meet the goals of the Paris Agreement and keep global warming down to as close to 1.5 degrees as possible, we need to clamp down on conflicts of interest to stop coal, gas and oil from leaving their dirty fingerprints over our climate policy,” he said. The demand to tackle conflicts of interest within the UNFCCC has been raised by governments representing over 70% of the world’s population and civil society organizations from across the globe and is supported by the European Parliament. However, progress has been slow, notably, because the European Commission had been siding with Canada and the USA to block discussions on conflict of interest from appearing on the UNFCCC agenda. The Africa Group of negotiators has stated that there needs to be restrictions on business participations in the negotiations because engagement by vested interest “threatens the integrity and legitimacy of the UNFCCC process” and the goals of the Paris Agreement. 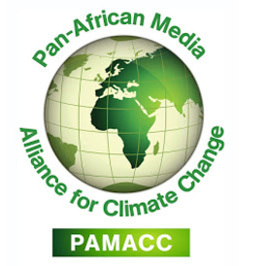 Augustine Njamnshi, Chair of Political and Technical Affairs at the Pan African Climate Justice Alliance (PACJA), says there is no basis to delay climate action. “It is in our interest to ensure that those who come here; those who come to the discussion table are there for real business to solve this climate crisis because the more we delay, the more we endanger the continent of Africa and other developing countries,” he said. The report by the Greens/FFA Group concludes that there is a need to adopt conflicts of interest policies at the UN, EU and national levels to safeguard public interest policy-making from the disproportionate influence of vested interest, which is particularly urgent when it comes to climate negotiations. “European governments need to support the call for a common sense conflict of interest policy so that the next COP can deliver outcome that will put the world on the road towards a climate in balance,” said Max.